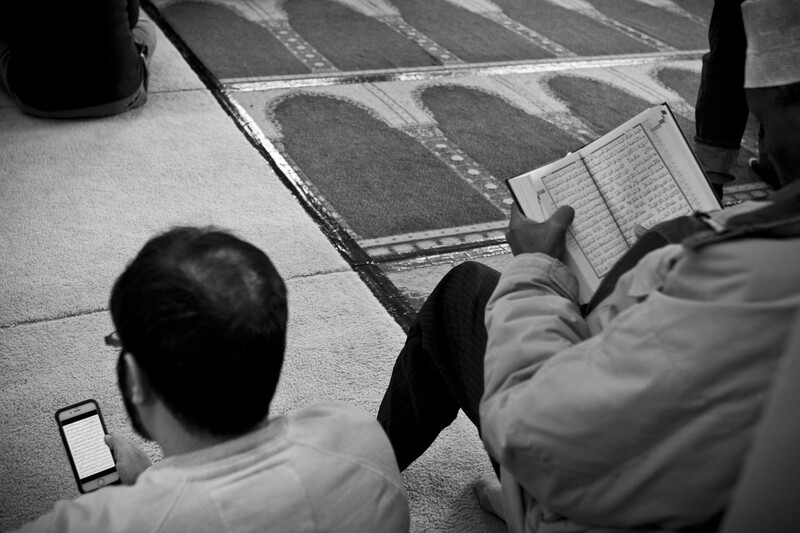 Navigating the intersection of American culture and Islamic faith. Malaika’s Instagram account is a triathlon of selfies, make-up products, and minimalistically designed quotes from the Qur’an. 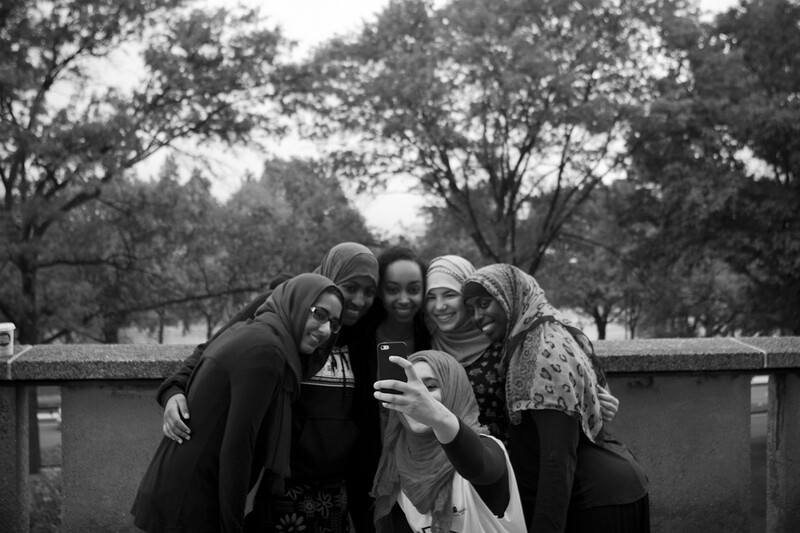 A self-described “hijabi,” — a Muslim female who decides to wear a head-covering—the photos showcase her black head scarf wrapped around a well-versed, piercing, and thoughtfully executed duck face. In the summer of 2014, Malaika introduced to her eight hundred and some followers Ahmed Najjar: “Just married,” she wrote. Next to it, a ring and heart emoji. Then, “Alhumdulillah,” which means “All praise and thanks to God,” in Arabic. Malaika, 23, and Ahmed, 27, have been married since August 30th, 2014. They met three months before. “I’ll let him tell that story,” Malaika said, when I inquired as to how the two met. He was bashful about framing the story. She breathlessly colored it in. At the beginning of May 2014, Ahmed started “following” Malaika. She didn’t know who this man was, but with six siblings and parents actively involved in their home community in Connecticut, she figured he was somehow connected to her circle. Two weeks later, on May 18th, he sent her a direct message. The direct message came complete with what else? A selfie. First, Malaika thought: what a player. Her second thought: what a player with beautiful eyes. For a little over a month, they talked nearly every day, primarily on Facebook and Instagram. Then, Ahmed wanted to take the next step and speak to her family. After communicating with Malaika’s mother, Ahmed arranged for the two parties to officially meet. On June 29th, 42 days after the initial direct message on Instagram, Malaika and Ahmed met for the first time face to face. Ahmed and his father drove to Malaika’s home in Connecticut, where they met her family. It was not a casual visit. In many Muslim communities, when young men and women actually meet for the first time, thoughts of marriage hang close by. Three days later, Ahmed showed up at Malaika’s house at 7:00a.m. He was, as Malaika’s sister questioned, there to make Malaika before anyone else. And what began on Instagram, a thoroughly modern, secular place, ended in a small building filled with ancient and spiritual tradition. On August 30th, 2014, Malaika and Ahmed had their wedding at Malaika’s mosque in Connecticut. Islam and America are odd, but increasingly common bedfellows. Now spreading in the West, Western members of the faith must consider nuances that haven’t always been present in its Arab origin. Does Islam adapt to a culture, or does it try to infiltrate and change the landscape in which it exists? How does Islam respond to the growing number of American-born Muslims? Is it okay for people to meet…on Instagram? What, then, is the norm? Islam is the second largest religion in the world. With 1.6 billion members, it boasts of an incredibly diverse and all but culturally-homogenous community that spans all corners of the globe. 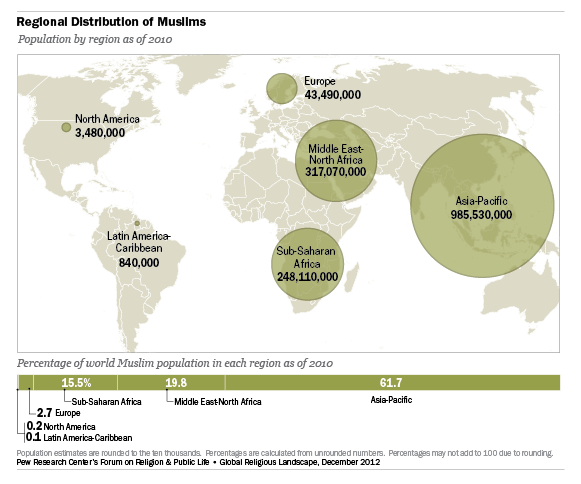 Asia-Pacific holds the largest Muslim population, followed by the Middle East and North Africa. The Americas house the smallest population. Out of the 1.6 billion Muslims in the world, two to seven million have made the United States their home, making Muslims, at most, three percent of the country’s population. Out of those few million Muslims that the live in the U.S., around two-thirds are foreign-born, or first-generation immigrants. Take Haseeb Hosein, a recently-promoted captain in the Boston Police Department. Haseeb Hosein, 52, has lived in America since age 10, when he moved to Boston from Trinidad with his family. For the past 26 years, Hosein has served in the Boston Police Department. In October 2014, Hosein was promoted and became the BPD’s first Muslim Captain. In the crowded and noisy African Ashur Restaurant, just around the corner from the Boston’s largest mosque, Hosein traced the journey of Islam, and his own, journey in America. According to Hosein, America was first introduced to a form of Islam with the Nation of Islam, Elijah Muhammad, and Malcolm X—Back then, Islam was synonymous with the Black Power movement. But beyond that, most Americans didn’t know what Islam was. Then, the 1973 Arab Oil Embargo brought Saudi Arabia into the nightly news. “Those Muslims control a lot of oil, and they’re not giving us their oil,” said Hosein. Strike one. Then, the Iranian hostage situation occurred. “These Islamic fanatics are holding Americans hostages.” Strike two. Yet after the hostages were released, Hosein recalls that the storm had passed and a relatively short period of calm resumed. All that, until, of course, the attack on the World Trade Center. “That made Muslims enemy number one,” said Hosein. Since 9/11, America’s internal response to the threat of terrorism has been far from successful, according to former FBI agent Mike German. German spoke at the Islamic Society of Boston Cultural Center (ISBCC) on Friday, October 24th, 2014, regarding the launch of a “countering violent extremism” pilot program by the Justice Department. The program, which will launch in Los Angeles, Minneapolis, and Boston, hopes to locate and diffuse potential terrorism threats through community outreach. The purpose becomes less reaching out to the community for support than reaching into it to stir up stale accusations. In the end, German believes community service is used as an intelligence gathering tool. According to German, the pressure to identify terrorism internally and externally, much of which stems from a fear-based perception of Islam, forces the FBI to do something. But because of the volume of work that the FBI takes on, they must rely on leaders in the community that will act as watchdogs for their cause. This results in not only an overwhelming number of leads that the FBI must investigate, but also sows fear and misinformation in the community, ultimately leading the FBI to chase countless false leads that distract from any real evidence they may have. German used the Boston Marathon bombings as an example of a case that fell through the cracks — an example less than two miles away from his talk at the ISBCC. German showcased the flaws by highlighting the inaction of the FBI after the Russian government gave information regarding Boston Marathon bombing suspect Tamerlan Tsarnaev years before the attack ever happened. During the event, ISBCC executive director Yusufi Vali announced two community leaders present. First was Captain Haseeb Hosein. Second — Muslim Cambridge city council member Nadeem Mazen. Mazen is the personality who, even if he didn’t mean to, walks into a room and demands your attention. He is young, ambitious, exceptionally charismatic, has traversed across a multitude of successful business start-ups, holds a government title, and — to top it off — exhibits a flowering man bun. 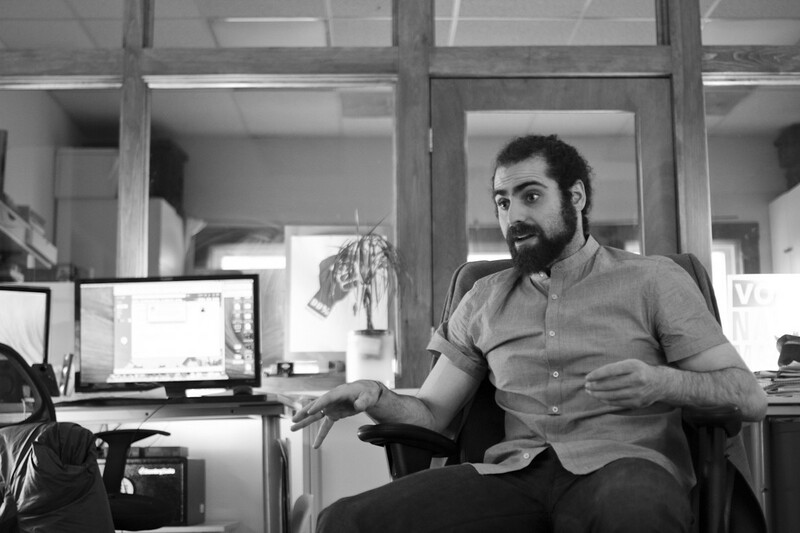 A MIT graduate, Mazen took a swing in the media industry after raising enough funds in two days doing animation work to fund a two-month-long trip across Europe. Out of his primary venture — known as Serious Business Design — Mazen and his business partner Ali Mohammad directed a music video for the band OK Go, using lots and lots of bread (215 loafs, to be exact). After the video’s success, Serious Business Deisgn developed into two separate entities. In 2011, the design and animation focus transitioned into what is now known as Nimblebot; parallel to it’s birth, Danger!Awesome was created, a laser cutting and 3D printing startup (thank the bread for that one). A child of an American mother and immigrant father, Nadeem chose a career path quite different to what many children of immigrant parents would say is the norm. As if starting a media-based business wasn’t rare enough, Mazen added another layer to the mix when he decided to run for a seat as a Cambridge city council member in 2013. 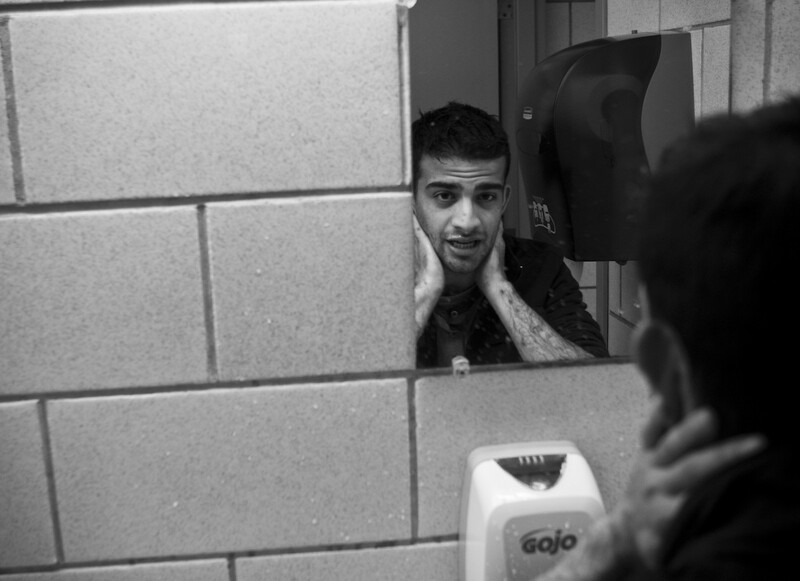 After seeing a lack of interface between the council and the community, Mazen sought out friends who he thought would be ample for the position. After coming up cold, Nadeem took the situation into his own hands and decided to run personally. 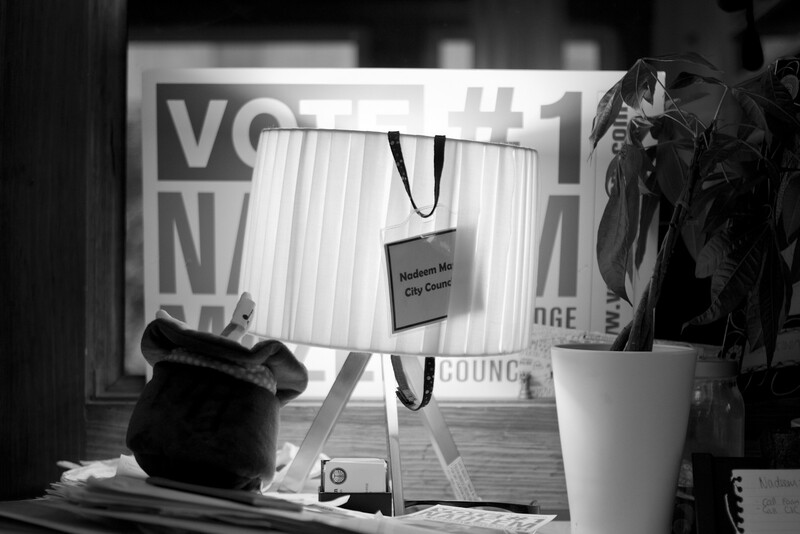 “Team Nadeem” pioneered the success and landed him a seat. 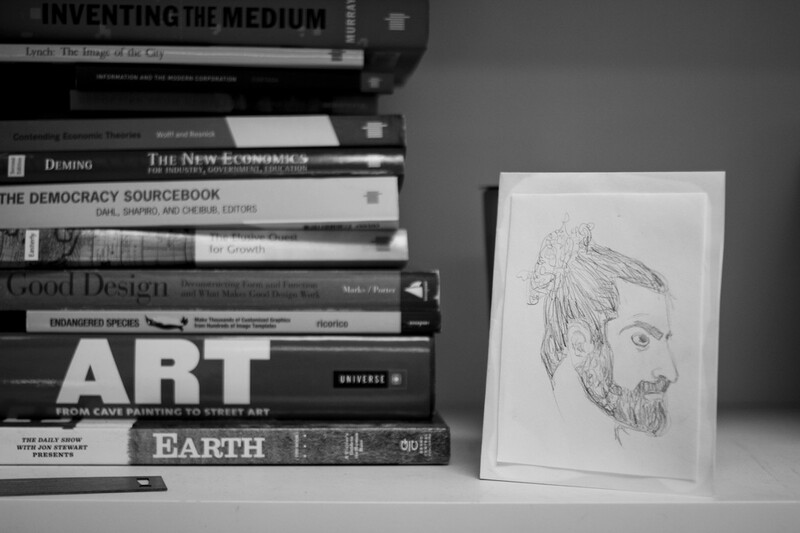 In working his way through the arts, business, and civic life, Nadeem has become both poster child and corrective to what it means to be a Muslim in America. Not only did graphic design steer him away from the secure and stable jobs such as engineering or the sciences that most immigrant families want for their children, but he has also become an example for Muslims interested in governmental affairs. As these culturally different Muslim immigrants from across the globe have joined the melting pot of America, the norm for Islam becomes hazy — one size no longer fits all. Muslim immigrants are having children and grandchildren whose only culture they know is American, and the Islam from “over there” is becoming just that: the Islam from over there. 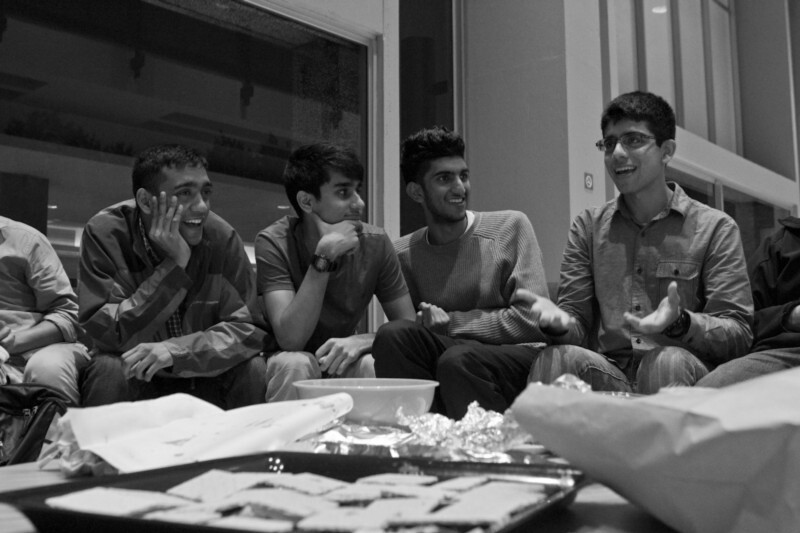 The Muslim immigrant family’s not-so-immigrant Muslim children are creating a new, hybrid identity entirely of their own. And as these generational changes occur, America’s perception of Islam is forced to shift as well. While America becomes more intimately tied to Islam, the masses can begin to see this minority in a new light . Arif Shaikh, an Indian-born Muslim now living in Cambridge, says that Muslim identity in America is so hard, if not for anything more than the variety of cultures that it encompasses. “It is hard to homogenize that identity,” said Shaikh. He says that there is one community, but many cultures. Someone from Saudi Arabia may practice the same faith as someone from Pakistan, but put them side by side and you’ll find two very different Muslims. While most argue that the foundation of their faith is the same (some people don’t argue this, by the way), the expression of faith is often different. What most see as a unified organism is more like an ecosystem. From the country of origin’s governmental policies to education and family wealth, the simplified, monolithic Islam that most Americans are aware of is much more layered. 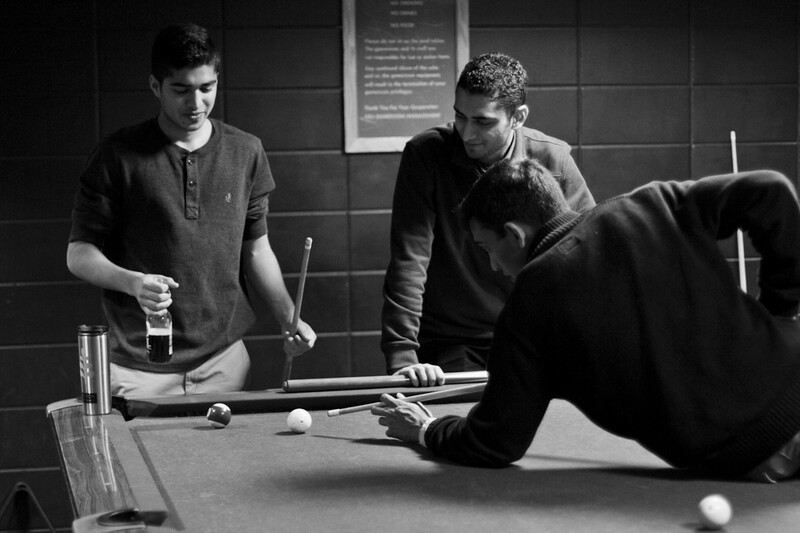 Shaikh has lived most of his life in the U.S. As he recalls, when he moved to Burlington, Mass. at age eight, there were very few Muslims. At one point in his childhood, Shaikh lived in Westford, but had to drive to Salem to attend a mosque that was started out of a basement. 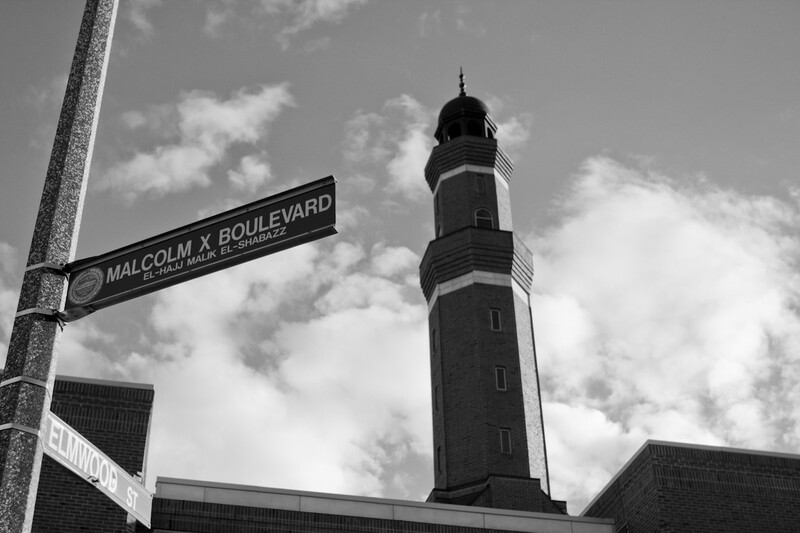 That mosque eventually upgraded to a condominium, and then to a larger industrial complex in Lowell. As the community has grown, he has seen relationships shift with Muslims both internally and also with the wider American public. From the interaction between men and women, to funding, to social networks, to the integration into the overall community, “Islam will be 100% different in America in 20 years,” says Shaikh. Even now, the changes are apparent. 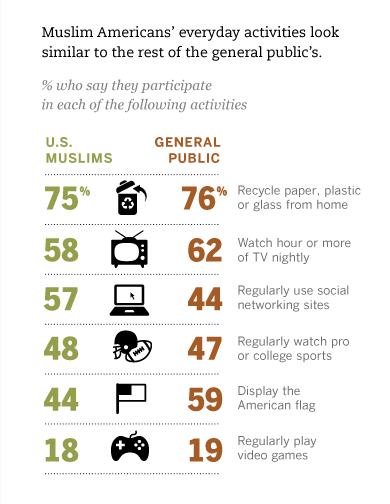 American Muslims are active and present in all forms of American life. They are captains in the police force. They help run American cities. They drink Starbucks (they work at Starbucks). Some play sports, some are artists. Some celebrate Thanksgiving, some do not. Ismail serves as a volunteer chaplain at Northeastern University and Boston University, where he works with college students very often going through the same transitions and questions he himself is facing. 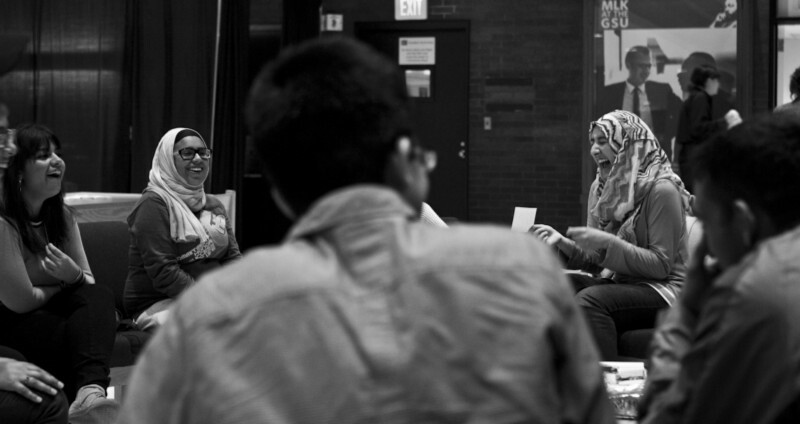 In Boston, the Islamic Society of Boston Cultural Center is perhaps the most vivid representation of the growing middle in the Venn diagram of American culture and Islamic faith. 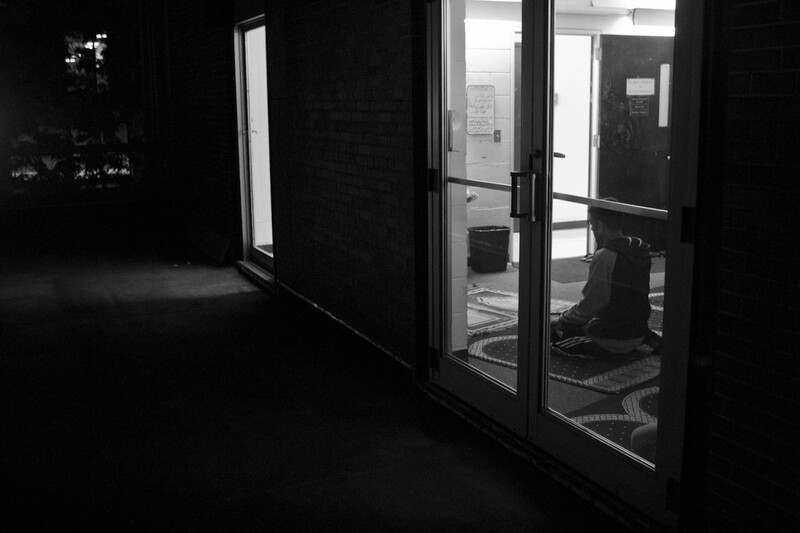 In a diverse city where a large immigrant population resides, the Mosque is bridging together the many cultures that have found themselves here. 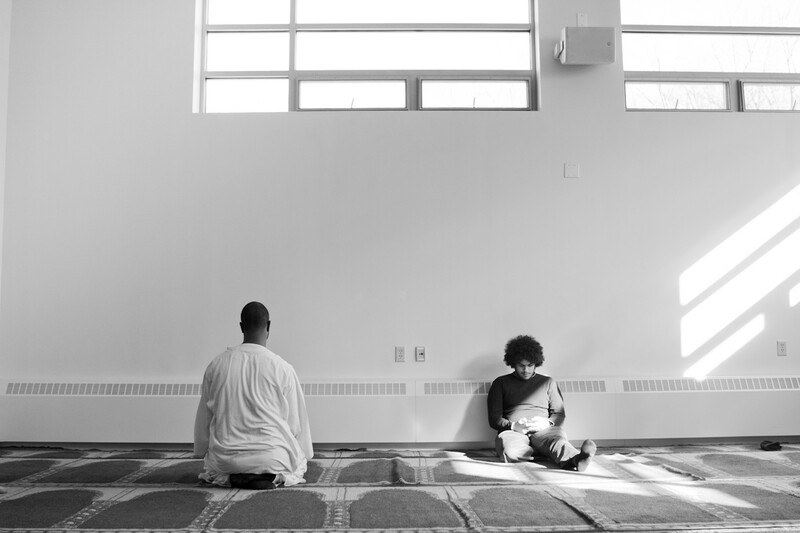 The space serves the community in the same capacity that a traditional mosque would, but it has also become a hub for community oriented projects that extend beyond the faith itself. The former Imam, Suhaib Webb, for the past three years has become a voice for the issues at stake in 21st century America, working to unite the elders and the youth of the congregation. Unlike most Imam’s in the country, Suhaib Webb was born in America, giving him the perspective needed to assimilate an eastern religion to a Western society. 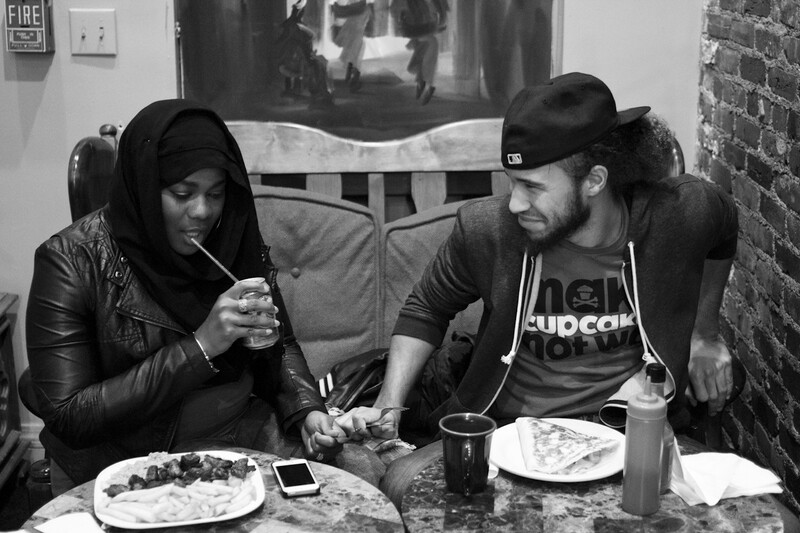 Since their wedding, Malaika and Ahmed have lived up the street from the ISBCC. 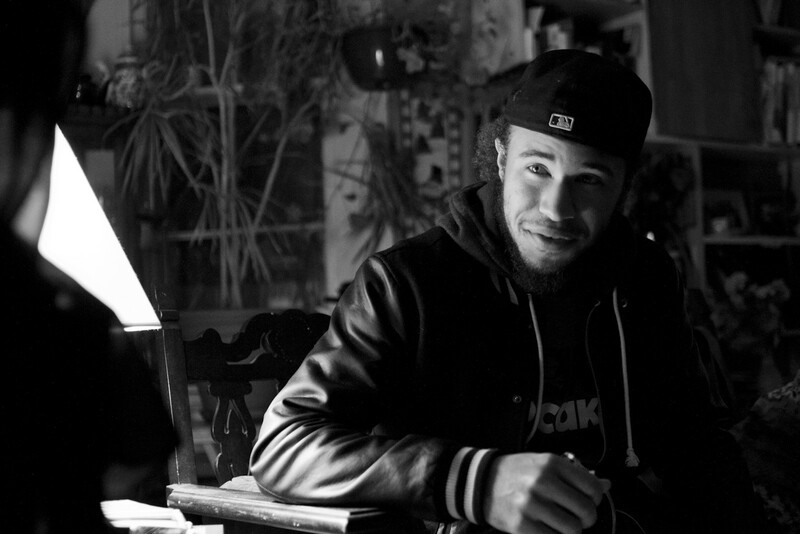 Malaika worked as a preschool teacher, and Ahmed an after-school artistic director. But on January 21, 2015, Malaika flew to Washington D.C. to interview for a freelance make-up artist position at Bobbi Brown—she landed the job the next day. So Ahmed put in his notice at work, and two weeks later followed his “woman crush”, where he is pursuing freelance consulting work in the interior design industry. They momentarily house with Ahmed’s family, meanwhile looking for a place of their own. One more step towards the American dream. To see more of Timothy’s photography, click here. Thanks to Mikaela Lefrak, david carr, and Mia Pokriefka.